Featured Image Credit: Apple Inc. 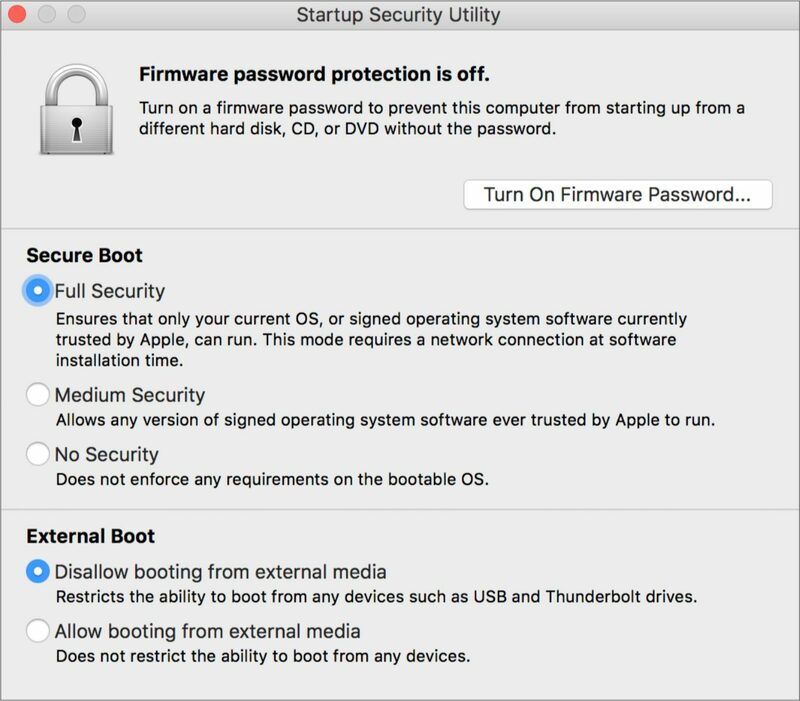 Secure Boot: The T2 ensures all components of the startup process—including firmware, the kernel, any kernel extensions, and bootloaders—can be cryptographically verified as trusted by Apple before booting. The idea is to prevent the Mac from being started up on compromised low-level software, thereby exposing users’ data. Secure Boot also covers Recovery Mode, Diagnostics mode, and Internet Recovery mode. By default, Secure Boot trusts only software signed by Apple or—get this—signed by a Microsoft certificate to authenticate Microsoft bootloaders. That means Boot Camp installations of Windows 10 on the internal SSD have all the benefits of Secure Boot, but anything else—like Linux—is currently out in the cold. Macs with T2 chips also have the Startup Security Utility available in Recovery Mode. Users (with a valid admin password!) can set a firmware password and/or downgrade some Secure Boot functionality. However, the No Security setting doesn’t necessarily enable untrusted operating systems to start up using the internal SSD, since they’d have to support the T2 as a storage controller (sorry, Linux). Using other operating systems seems to be possible only from external drives, and they gain virtually none of the benefits of the T2, including fingerprint authentication. Encrypted Storage: The T2 enables on-the-fly encryption and decryption of data on a Mac’s built-in solid-state drive. The encryption uses the same technology as FileVault and requires a valid password to boot up. Because the T2 is a separate system, it can enforce delays on failed password attempts: there’s a limit of 30 password attempts on the Login window or in Target Disk Mode, with a 1-minute delay on each after 14 failures. More attempts are available in Recovery Mode and FileVault recovery (including iCloud recovery), but the delay can grow to as much as an hour between allowed password attempts. This sort of delay makes brute-force password attacks impractical. However, don’t expect to see the T2’s on-the-fly encryption on anything but internal SSDs: Macs with traditional hard drives (some new iMacs still have them!) will probably never see this benefit. External drives don’t gain this protection, either. However, for others, these glitches are literally showstoppers. If you’re using your Mac to process live audio—maybe you’re a DJ, or a musician using your Mac to run software instruments with programs like Ableton Live or Apple’s MainStage—blasting your audience with random pops, clicks, and bursts of sound is a Very Bad Thing. 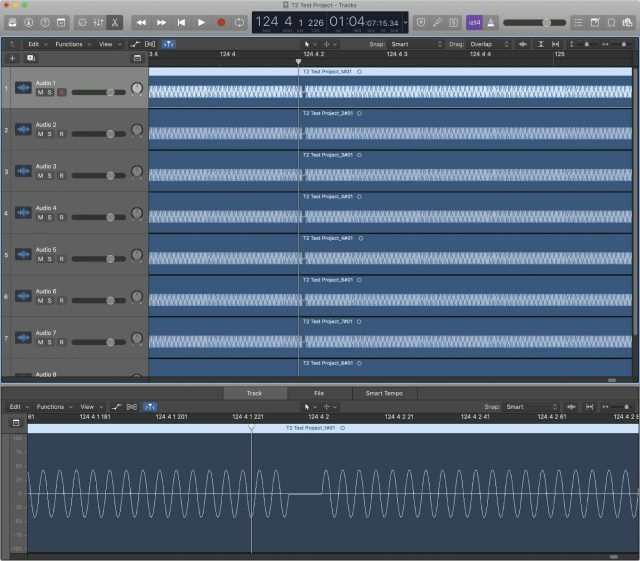 If you are recording music—whether in your bedroom using GarageBand or burning through hundreds of dollars per hour in a professional studio—those glitches will inevitably happen during critical moments, often destroying your recording. Imagine telling a legendary performer: “Hey, that was great, but the Mac glitched. Let’s go again, maybe it’ll record OK this time!” It’s a quick way to end a career. 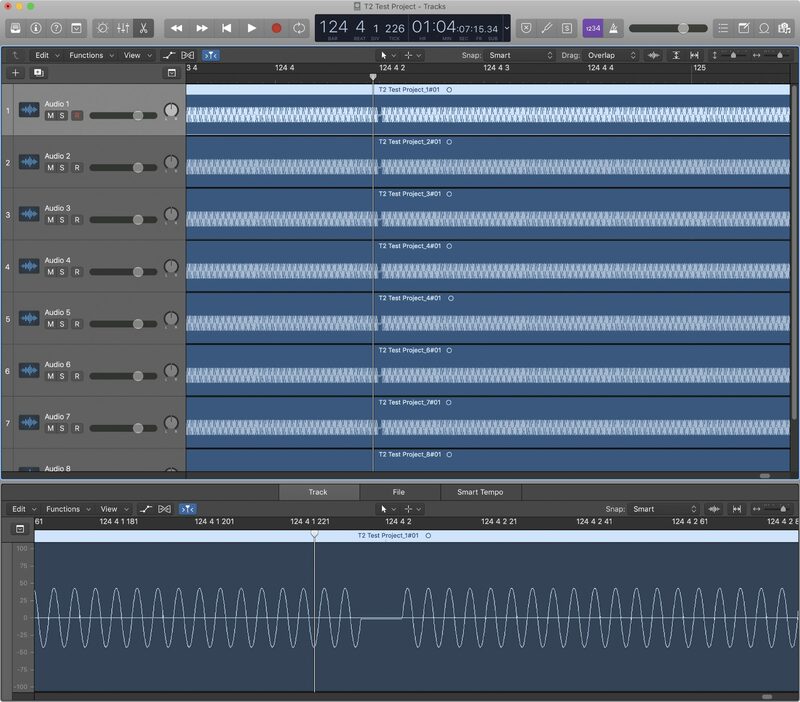 For musicians and audio professionals, this problem makes T2 Macs unreliable and untrustworthy—an irony, since many of these people use Macs to avoid the famous undependability of audio setups under Windows. All that said, if you rely on your Mac for audio—whether recording podcasts, DJing parties, or as a professional engineer or musician—I recommend avoiding T2-equipped Macs until audio issues have been verifiably resolved for quite some time. If you need a new Mac before that happens, consider one of the few remaining models without a T2 chip, or perhaps an older pre-T2 Mac—sometimes Apple offers a good deal on refurbished and clearance models. Comments About What Does the T2 Chip Mean for Mac Usage?